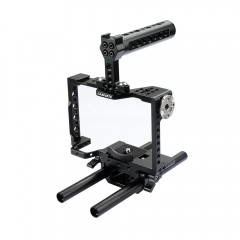 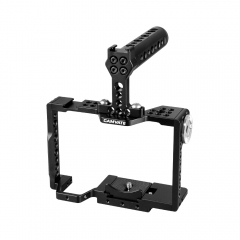 • This small cage rig is designed to provide a protective armor and also a mounting platform mainly for Sony small camera models. 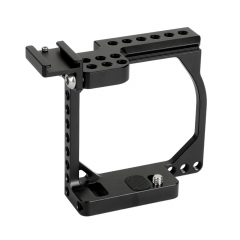 • It is specially designed to get the battery cover avoided from covering up by the cage. 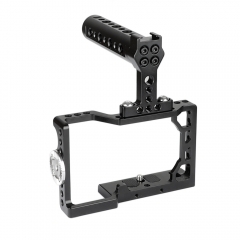 • It features a quick lock and release wooden top handle with NATO rail, you can effortlessly attach or detach it with a hand-tight knob. 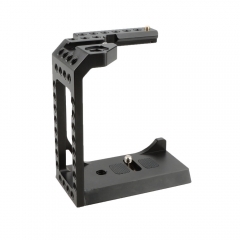 • It comes with a cold shoe based on the top of the wooden handle, which allows you to mount standard shoe accessories through it. 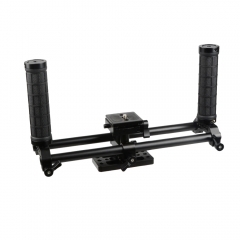 • It’s made of high quality aluminum alloy, CNC-milled and wood. 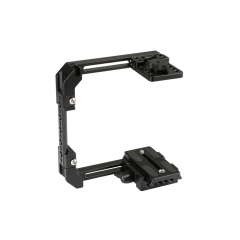 • Plenty of 1/4"-20 mounting points for attaching more accessories. 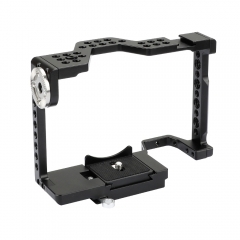 • This cage is 71mm in height, it's mainly compatible for Sony A6000 /A6300 /A6400 /A6500, and some other small-sized camera models with height less than 71mm, such as Canon Powershot G series.